The dental implant placement process is not an instant, one-shot surgery. It takes place over more than one visit, and often requires periods of healing between procedures. 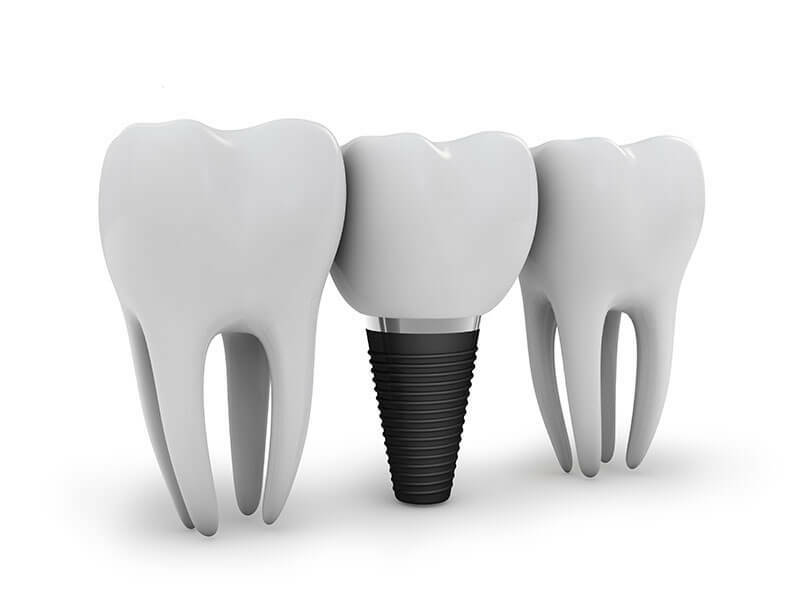 To get an idea of what your dental implant process might be like, take a look below at a general timeline of events that occur for the average implant patient. However, be aware that your individual path of treatment may differ from others, and it all is meant to ensure dental implants success here at Family and Implant Dentistry in Lincoln, NE. The first time that a patient speaks to Dr. Hoffman about dental implants will be during the first consultation. During this time, patients can expect to have their oral health evaluated through x-rays and scans. Then, you’ll discuss in detail what dental implant options are best for you, whether they be individual implants or bridges. At this time, you can also ask Dr. Hoffman any questions you have about the dental implant process. 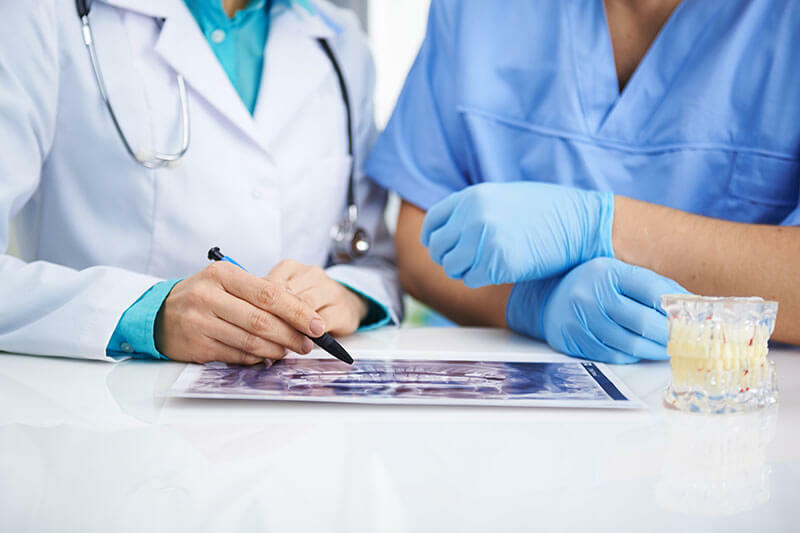 We will also ask about your medical history and any compromising medical conditions you may have. If you need to travel during your treatment, let us know about your plans so that we can schedule your dental implant treatment accordingly. Tooth decay and gum disease are two diseases that can put any dental implant treatment at risk. They can spread and deteriorate the implant site, making it difficult for the implant to heal if it’s placed there. Outside of diseases, jawbone depletion is another risk that can prevent the dental implant from undergoing osseointegration properly. For both disease and depletion, Dr. Hoffman may recommend a soft tissue augmentation or a bone graft to help alleviate the loss. 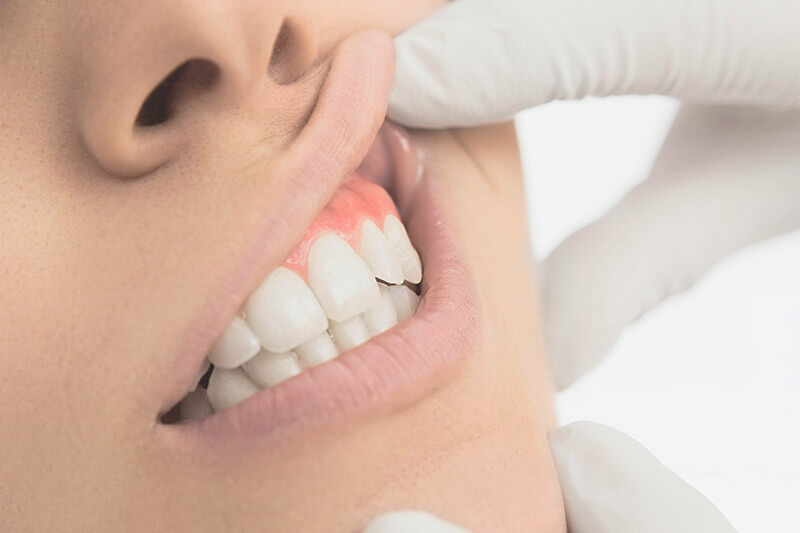 Both procedures add new bone or gum tissue to the affected sites in order to give them more volume and help the dental implant acclimate to the jawbone. During your consultation, Dr. Hoffman will discuss these options with you in detail, if needed. Each piece of the implant requires a separate placement procedure, and in most cases separate appointments. This all depends on the period of healing that will be required for your particular implants. The implant fixture is placed first, and this is the biggest step in regards to osseointegration. The titanium in the fixture triggers the process of osseointegration, wherein bone fibers wrap around the implant and secure it in place. After some time has passed, the abutment will be placed, followed by the crown (this may either be at the same time or after another period of healing). Your implant is complete, but it’s also vital that you follow any postoperative instructions as well. During the surgery itself, you will be under sedation and won’t feel any pain. After the surgery, some pain and swelling is normal to experience, and can be alleviated with over-the-counter pain medications. If Dr. Hoffman prescribes additional medications, please follow any and all instructions he gives. Following your complete dental implant placement, stick to a diet of soft foods and cold liquids. Do NOT use straws, as this can dislodge blood clots around the surgical site. Yogurt, eggs, and soups are a few examples of acceptable foods to eat directly after surgery. Once your implant site has healed, you’ll be able to enjoy those textured foods you love again. 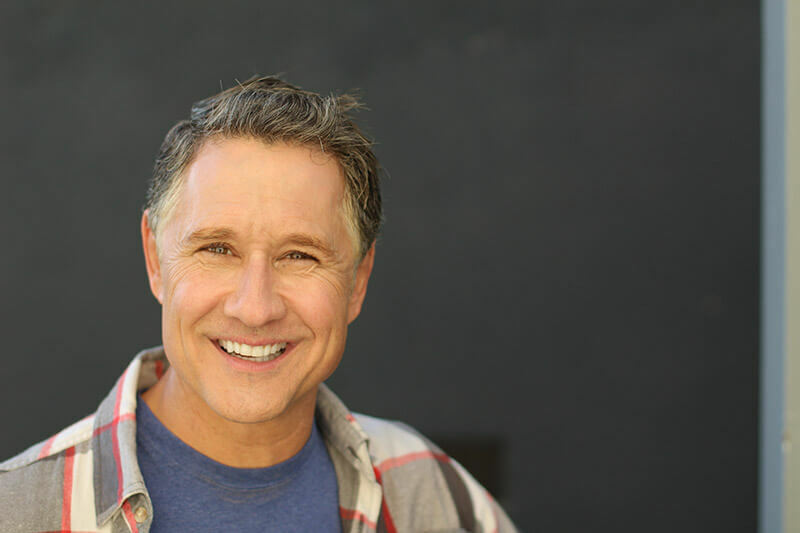 Dr. Derek Hoffman and his team are ready to help you regain that fantastic smile, thanks to dental implants. While the process may seem long, patients have told us that the results have been well worth the wait. Contact us if you’re ready to schedule that first consultation and we’ll be happy to help you explore your options.